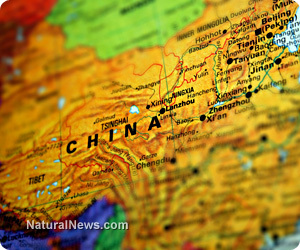 (NaturalNews) As if China's legacy of tainted food and unspeakable environmental pollution were not enough to raise some eyebrows, the most populated country in the world is now in the spotlight for a growing environmental problem that is destroying its rivers: decomposing human bodies. New reports indicate that hundreds of bodies are retrieved just from the Yellow River near Lanzhou every single year as part of a massive "body fishing" scheme, and authorities are doing nothing to try to stop it. According to WantChinaTimes.com, it is a burgeoning business for many poor villagers, who are paid small cash sums to retrieve decomposed bodies from the river and return them to their living family members. Over the past 50 years, in fact, more than 10,000 dead bodies have been dumped and later retrieved from a roughly 50-mile stretch of the Yellow River for this purpose, and in recent years this number has been on the rise. State-run media sources in China have provided every excuse under the sun as to why so many bodies are being found. They blame the high prevalence on careless swimmers, people who accidentally fell into the water and drowned, and people who committed suicide -- basically anything other than foul play. But one major cause that is being ignored, according to at least one source, is the underground human trafficking trade. "Most of the bodies that are not claimed by relatives are female migrant workers who had moved to Lanzhou," says Wei Jinpeng, one of the local body fishers who reportedly retrieves as many as 100 corpses a year from the spot where he lives on the Yellow River. Jinpeng and others can make about $16 for every 20-or-so bodies they retrieve. "Most of them have been murdered." Writing for Forbes.com, contributing writer Gordon G. Chang explains that there has been an annual increase of between 200 and 300 additional corpses retrieved in and around Lanzhou, a surge that local authorities continue to deny is really much of an issue. An obvious lie, local media and state authorities also continue to claim that the rise in dead bodies is not affecting water quality, and that drinking water is safe. "China's great rivers are becoming morgues for humans, birds, and animals," writes Chang, referring to the recent discoveries of thousands of dead pigs, swans, and other creatures that have turned up in Chinese waterways. "As a consequence, decomposing humans continue to plague Yellow River communities." What does this mean for the future of China? If authorities are willing to turn a blind eye to the obvious problem of human trafficking throughout China, which is very clearly contributing to the recent uptick in dead bodies floating down its rivers, then it just goes to show that China is not really "developing" at all, at least not in a civil sense. It also means that disgusting stories like this one will only continue to be written. "The authorities obviously cannot solve a problem they refuse to acknowledge," wrote one commenter on the Forbes.com piece. "This is because the promotion of Chinese police officials depends on murder clearance rate. The official Chinese murder clearance rate is probably the highest in the world, close to 100 percent."